A Sliver of superfine mulberry silk, A1 quality. 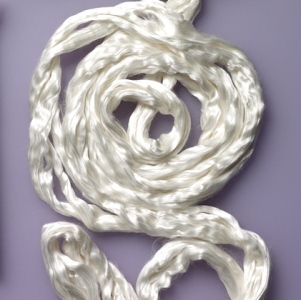 These extrafine silk fibres are ideal for felting upon open woven fabrics and scarves, e.g. Chiffon, Georgette, Organza, Etamine. Also great for dyeing, making silk paper and more.